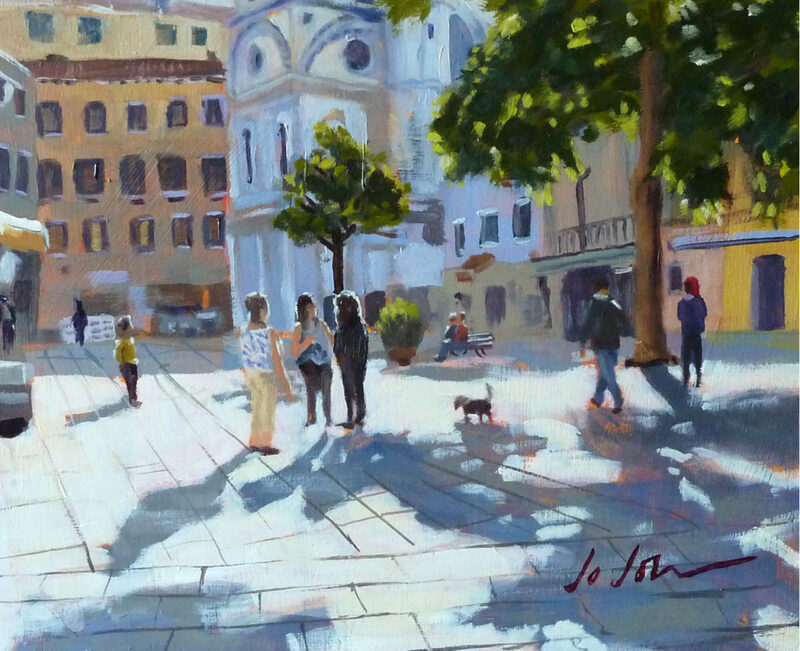 I enjoyed painting this light filled scene from a photo I took in Venice two years ago. I’ve been diligently trying to achieve a looser, more painterly approach and also, to concentrate on establishing the correct balance of tonal values from the very first “roughing in” stage of the painting. I feel I’m getting somewhere – slowly, though. Making it look easy is not easy! Counterintuitively, I’m discovering that to create a spontaneous look actually requires a methodical, analytical, considered brush-stroke by considered brush-stroke approach. But it’s a wonderful discovery and one that makes me want to get to my easel at every opportunity!